Cosmetic Queen Kylie Jenner sparks engagement rumors as she shows off her new diamond ring on her finger. Kylie Jenner is reportedly engaged with boyfriend Travis Scott who she dated for over a year now. The rumor started after the 21 years old flaunted her new diamond ring in a recent Instagram post. The youngest daughter of Kris Jenner and Caitlyn Jenner (previously Bruce Jenner) is currently dating Rapper Travis Scott. The two started dating since last year and even share a daughter together named Stormi Webster. Although the rumors of Travis making a proposal to girlfriend Kylie surfaced last month, no official news or announcements were made. 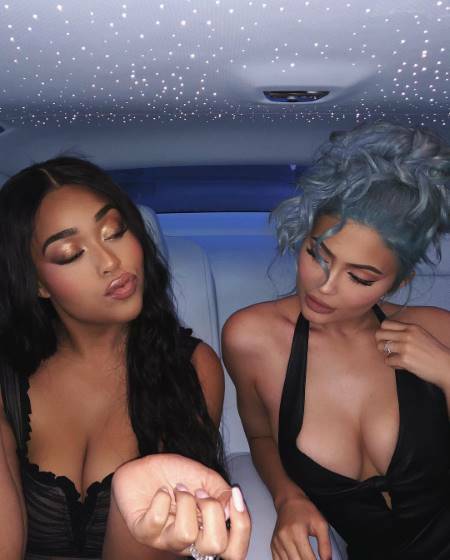 Kylie who recently changed her hair color to blue for the chilly weather appeared flaunting her new hair color with BFF Jordyn Wood at a new year party. 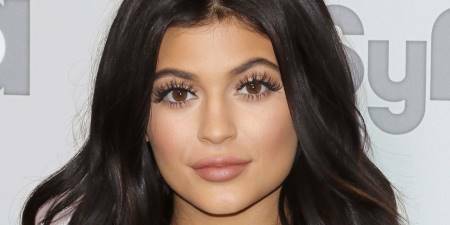 In the pictures shared by Jordyn, both Jordyn and The Keeping Up With Kardashian's star poses attired in a black revealing halter neck dress inside a fancy car. And obviously other than her outfits and new look, media, and fans quickly noticed a new diamond ring just on her ring finger. "Knowing her, she probably been married since the baby lol"
However, Kylie nor her boyfriend confirmed the news so far. Do you think Kylie and Travis secretly got engaged or even married? In addition, do you reckon the whole family is hiding it from the public just like they hid Kylie's pregnancy? Stay connected with us, we will inform you and Keep you up with the news soon.